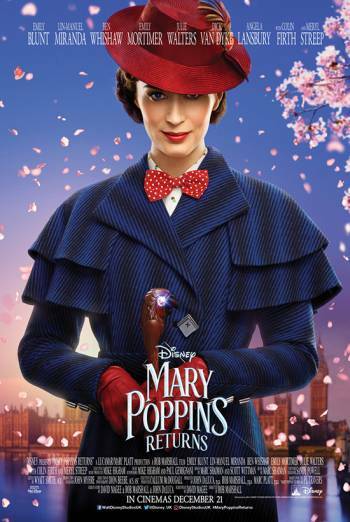 Summary MARY POPPINS RETURNS is a musical fantasy adventure sequel in which the magical nanny returns to once again look after the Banks children. There is very mild threat when an animated wolf captures a little boy; however the scene is brief and the boy soon wakes up safe in his bed. There are references to a family losing their mother, which is sensitively handled.